Today I have a new interview for you. 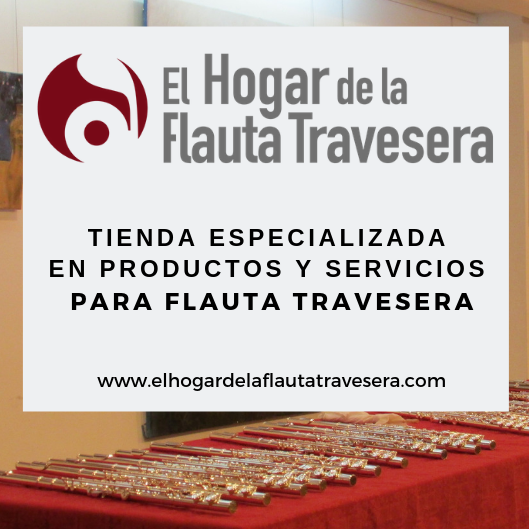 I bring you a great flutist who has played with amazing orchestras like Los Angeles Philharmonic, London Symphony or London Philharmonic, among others. 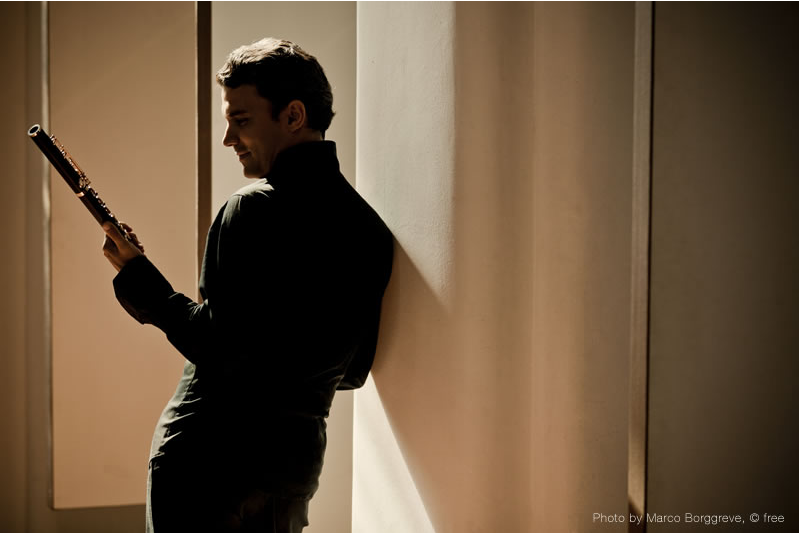 He is Julien Beaudiment, current first solo flutist on the Opera National de Lyon Orchestra (France). By the way, did you know that you can be a patron of this blog? Visit my Patreon to have exclusive benefits! And if you have any questions, you can write me through my social networks. My father, although he was a psychiatrist, was a real music lover. I was very early brought in a very « musical » family, despite no one played music except of me. My dad has a huge collection of recordings; he spent his time listening to music and reading. Then my first encounter with an instrument was the recorder at school, when I was 6. Since then playing music was always an obsession. You won the solo flute position in the Orchestre de l’Opéra National de Lyon at the age of 22. What did you feel winning that position so young? Were you ready for it? First you don’t believe it, or it is hard to realize. It takes a while before you really understand that you have this kind of position. Of course at 22 you are never ready for that, but the passion is ready and the love for orchestral playing is ready. It takes some years before you feel really secured flute wise and human wise. Once the first 3 years are passed you start to feel like home. How were your first years in the orchestra? The first years were a discovery. First I arrived at the Lyon opera house with Ivan Fischer. A great and charismatic conductor. I was very impressed to play with him. I had the chance to have a fantastic flute section: Catherine and Gilles, who were always nice to me. I have to say that my predecessor at my place was Philippe Bernold, so that is something heavy to carry. But everything went smoothly, with patience, work and a lot of sense of humor. I was less lucky in my life with oboe players, who can make your life difficult; but once you know the people you can trust and who to rely on, you take the train. And people who also like you take it with you. 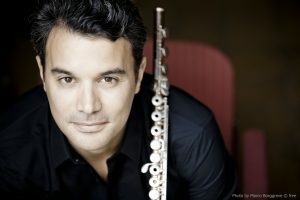 ‎What’s the most curious thing that has happened to you in your career as musician? As a musician the most curious thing is … a musician itself. It is a job full of contradiction. The constant fight between the love of music and the love (or hate) of yourself. The love of music sharing and the complexity to share as much as you want with other people. A musician is very complicated, and in fact, as human nature actually, a musician is a mystery by himself. 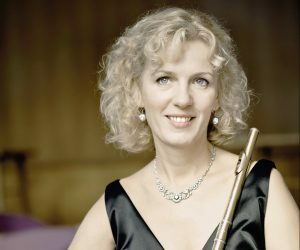 What can you say about the french flute school? I always thought that there are 2 schools. The bad and the good one. 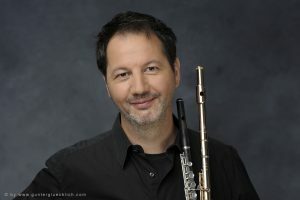 But having said that, the French flute school is the school of the flexibility of the air, of the colours and vibrato. There is no tension in the sound or vibrato, the phrase is made by the air and the lips, and the natural of the voice is essential. You played in Los Angeles Philharmonic. How different is to play in America? How do they organise the orchestra? I spent certainly the most amazing time of my carreer in America. The LA Phil is magnificent, playing with Dudamel is unique, and I had fantastic colleagues. I had to go back to France for non musical reasons. Playing there is very different from Europe. You work fast, you have to be efficient and people are always very positive. We unfortunately complain a lot in Europe, and especially in France. I don’t say it is better there, but it is different. There is the good and the bad, if you are in America or in France. When people ask me what I prefer between France and the US, I always reply « the Atlantic Ocean ». The orchestra in LA works at Disney hall during the season and at the Hollywood Bowl in the summer. Many concerts, programs and conductors. And living in LA was the most crazy thing which happened to me. You were also working for a year in England. Which are the differences between the orchestras in France and England? And in the flute group? You could say that working in the UK would be similar to America, except that it is colder and less paid. Of course I am joking! I also have a very positive souvenir of my British years. The LSO, LPO, the Halle orchestra, Saint Martin in the Fields…are beautiful orchestras where musicians work very hard. ‎How do you see the current musical outlook? You are asking the worst question to the worst person. I am honest, and I have no shame to write what I think. I am actually worrying about it. Unfortunately the money is the biggest issue and all the money will go more and more to the big orchestras and the big cities. There will be less and less for the average sized cities, which is a shame. I don’t know if the past was better, but what I see is less and less jobs, and the politics are obsessed about money and efficiency. The culture is not made to make money, which is the opposite of what politicians want. I try my best to protect my students and to make them realize at the same time that it is hard. And only the passionate will make it. If you are not, music will be a way of living. If you are passionate, it will make the difference. ‎And finally, some advice for our readers. Please listen to music! Read about the composers and please, go to the concerts. The music was never made to be listened with iPods, but to be listened live. Be hungry and curious. Don’t listen only to flute, but to all the other things. Surprise yourself and be patient. Very patient. 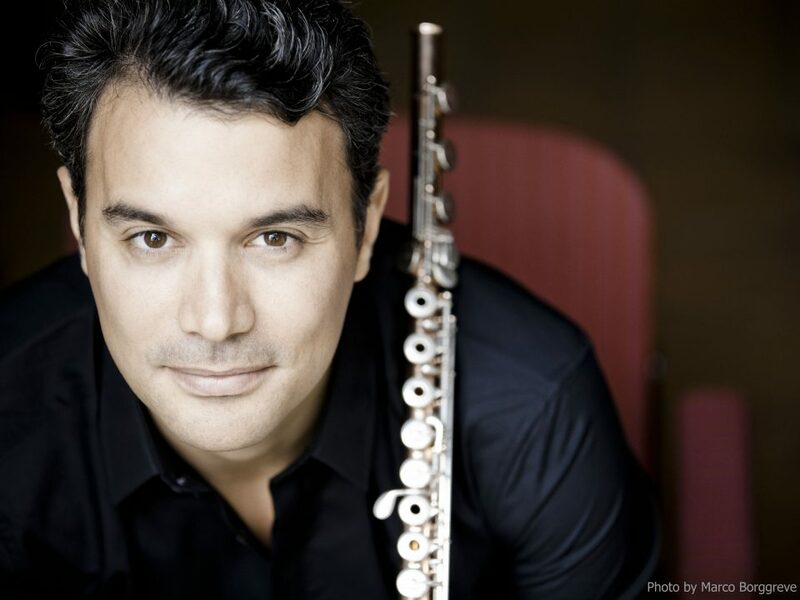 Thank you to my “International Flutists” patrons: Pepe Sotorres.